March seemed to defy convention by coming in like a lion and leaving like one as well. April got off to a frigid start, with snow and sleet blanketing Harrison just last week. Despite the weather, Mother Nature never fails to send winter packing; eventually, it will be spring! With longer days, sunnier weather, pleasant temperatures, and flora in bloom, spending time outside becomes a top priority. When spring finally arrives, how will you take advantage? 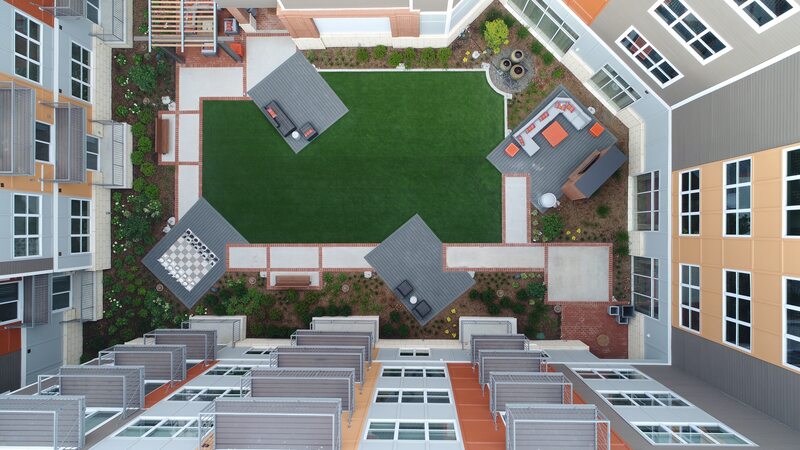 If you live in one of Steel Works’ Harrison luxury rentals, you’ll face no shortage of choices for outdoor recreation. 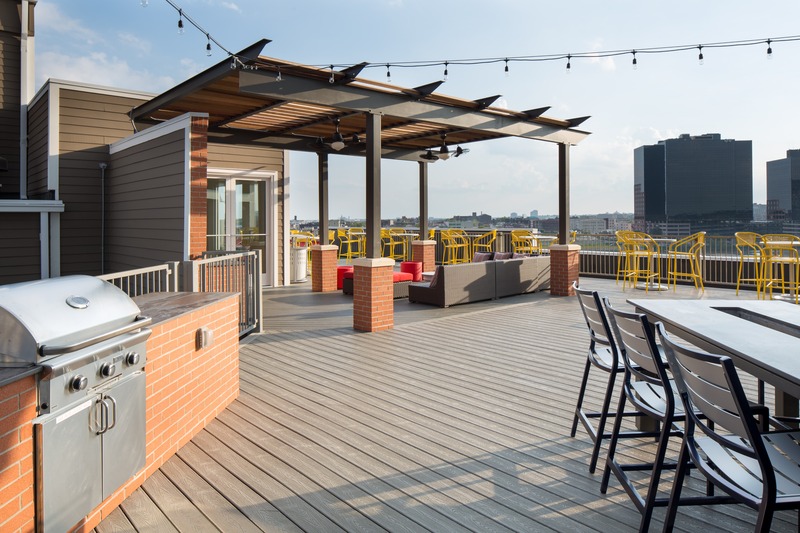 SteelDeck: Nothing says you’ve made it like your own roof deck. 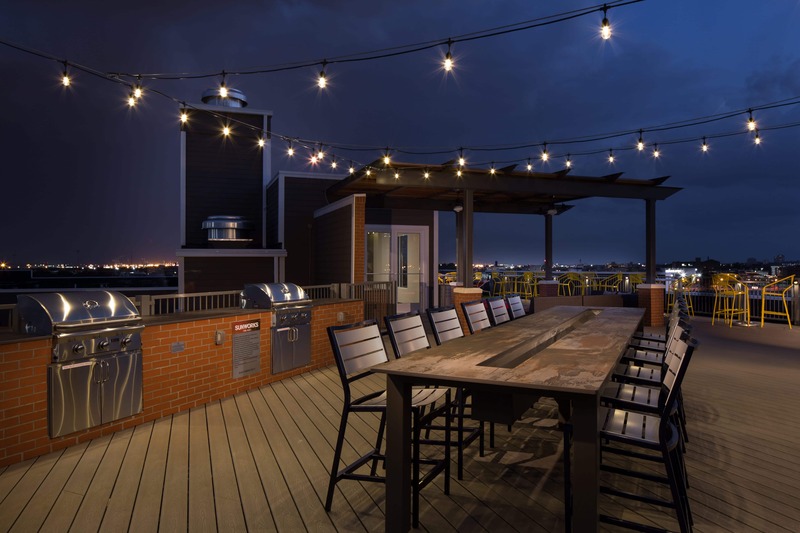 At Steel Works, we’ve taken the rooftop experience to new heights, with a pergola and outdoor grill stations. From sunrise to sunset, and well into the night, our activated rooftop experience is the perfect place to relax and socialize with your neighbors, while enjoying panoramic views of the Riverbend District and New York City. Plus, it’s a good spot for posting up and getting your pre-summer tan’s base layer just right! SunWorks: Opening just in time for Memorial Day, our private outdoor pool is sure to be the hottest spot in Harrison this summer. You can get your laps in, or feel free to relax all afternoon on our lounge chairs and plow through a new book. Just don’t forget to show off the space a bit on Instagram; everyone’s allowed to humblebrag every now and then. 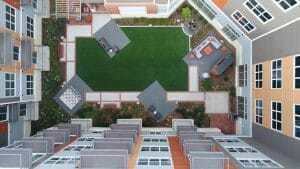 SteelYard: Imagine the ultimate backyard; a place where you and your friends can relax outside and enjoy a few local craft brews, perhaps from 902 Brewing Company or Two Ton Brewing. Steel Works has combined the best of luxury rental living with outdoor amenities such as SteelYard, our programmed terrace space that features lounge seating, lawn games, and even an outdoor movie screen. This spring, the challenge will be getting your friends to head home after the ideal weekend afternoon! 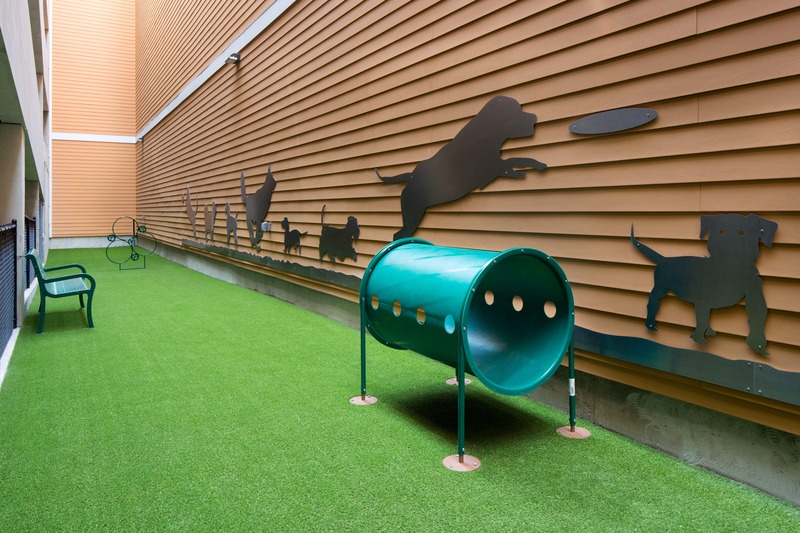 PupWorks: Our dedicated dog park will have your pooch wagging with gratitude every time you visit. Not only will Fido dig the exercise – but you’ll also find yourself becoming a part of Steel Works’ dog-loving community! Rub shoulders with fellow dog owners and get to know your neighbors while your four-legged friends goof around. Which of our outdoor spaces are you most excited for this spring? Share with us on Facebook and Instagram! 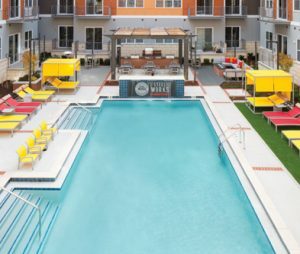 Or, if you’re looking to snag one of our remaining luxury rentals before they’re all gone, reach out today to schedule your tour.